The Georgia Pharmacy Convention is organized by Georgia Pharmacy Association (GPhA) and will be held from Jun 13 - 16, 2019 at Amelia Island Plantation, Amelia Island, Florida, United States of America. Additional details will be posted as soon as they are available. 2019 GSA Summer Meeting is organized by Georgia Society of Anesthesiologists (GSA) and will be held during Jun 27 - 30, 2019 at The Ritz-Carlton, Amelia Island, Fernandina Beach, Florida, United States of America. The target audience for this medical event is Anesthesiologists. Additional details will be posted as soon as they are available. 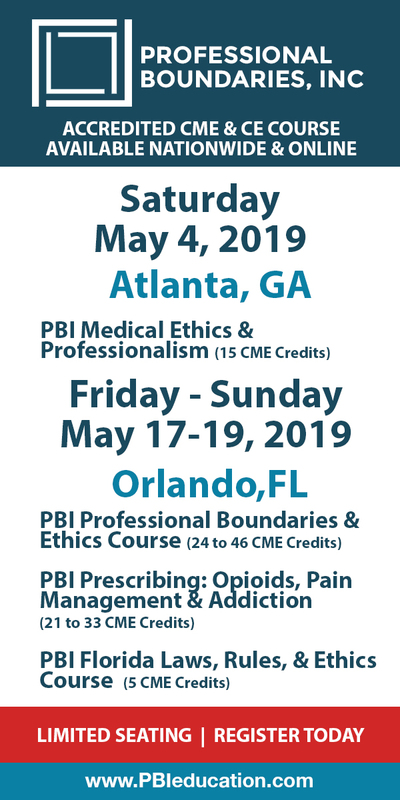 Botulinum Toxin/nerve/joint Blocks, Neurology & Pain Workshop is organized by EPIX CME and will be held from Aug 22 - 24, 2019 at Omni Amelia Island Plantation Resort, Fernandina Beach, Florida, United States of America. Target audience: Primary care providers, family medicine providers, internal medicine providers, advanced nurse practitioners, physician assistants, and any other providers. CME credit: This education program will offer up to 17.25 hours of AMA PRA Category 1 Credit. A Certificate for Completion will be issued to participants who complete the seminar and evaluation form. 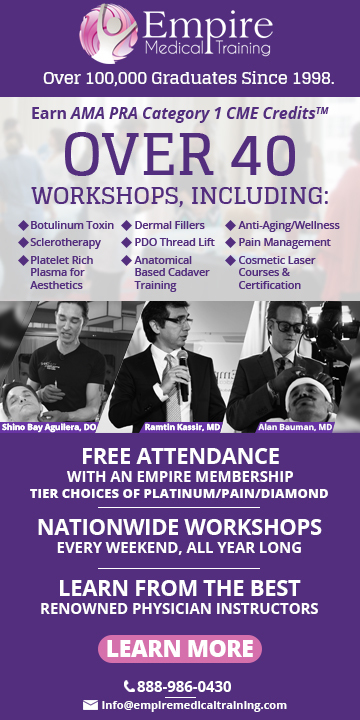 This Live activity, BOTULINUM TOXIN /NERVE BLOCK NEUROLOGY/PAIN WORKSHOP, from 08/22/2019 - 08/22/2020 has been reviewed and is acceptable for up to 17.25 Elective credit(s) by the American Academy of Family Physicians. Physicians should claim only the credit commensurate with the extent of their participation in the activity. Workshop Purpose: The workshop teaches injection techniques in botulinum toxin injections, joints and bursa injections, peripheral nerve blocks, and muscle injections. These procedures constitute a large portion of treatments primary care doctors can offer. Learners can practice injection techniques during the workshop. They can efficiently perform these injections and blocks without special equipment nor with excessive time in office. Indication, contraindications, complications, billing, coding and sample notes will be provided. What is learned is immediately applicable in practice. Objectives: • Perform targeted history taking and Orthopedic/neurological/pain examination • Differential diagnosis of MSK pain and neurological deficit • Establish indication, contraindication for injection procedures • Perform joint/bursa/muscle injection • Perform peripheral and cranial nerve blocks • Perform Botulinum toxin injections • Recognition of complications with injections and blocks • Documentation for procedures, code, and compliance Additional details will be posted as soon as they are available. 4th Annual Inpatient Medicine for NPs & PAs: Hospital Medicine from Admission to Discharge 2019 is organized by Mayo Clinic and will be held from Oct 16 - 19, 2019 at Amelia Island Plantation, Fernandina Beach, Florida, United States of America. The target audience for this medical event is applicable to internists, hospitalists, nurse practitioners, physician assistants, advanced practice nurses, registered nurses and allied health from novice to experienced. Course Description: Hospital care models are transforming, and nurse practitioners and physician assistants play vital roles in the care delivery of hospitalized patients. Inpatient Medicine for NPs & PAs: From Admission to Discharge fills your CME needs. This conference emphasizes clinical management of hospitalized patients in an interactive, case-based format with evidence-based lectures by experts in treatment pathways from admission to discharge. Conference Highlights : • AMA PRA Category 1 Credits. • AAPA Category 1 CME Credits. • NCC Credits. • Designated pharmacology content. • Pharmacology workshop. • Ultrasound procedures workshops. • Contemporary guideline-based best practices. • Clinical care pathways. • Diagnostic and treatment algorithms. • Common clinical dilemmas. • Practicing health care provider faculty. Additional details will be posted as soon as they are available. Multidisciplinary Update in Breast Disease 2019 is organized by Mayo Clinic and will be held from Nov 07 - 09, 2019 at Omni Amelia Island Plantation Resort, Fernandina Beach, Florida, United States of America. The target audience for this medical event is designed for primary care providers, mid-level providers, oncologists, radiologists, surgeons, pathologists, and gynecologists who care provide both diagnostic and treatment of patients with breast cancer. Course Description: This two and half day continuing medical education course will provide a multidisciplinary update from experts in their field focusing on prevention, evaluation, diagnosis, management, and treatment of benign and malignant breast diseases, high risk and survivorship issues. Conference Highlights : • Benign Breast Disorders. • Surviving Breast Cancer. • Breast Imaging Modalities and Supplemental Screening Options for Dense Breasts. • Updates in Surgical Management and Local Treatment of Breast Cancer. • Radiation Therapy Options. • Genetics and High Risk Management. • Advances in Oncology. • Updates in Breast Reconstruction. • Optional Evening Session: Advanced Surgical Techniques. Additional details will be posted as soon as they are available. Florida Academy of Family Physicians (FAFP) Family Medicine Winter Summit is organized by Florida Academy of Family Physicians (FAFP) and would be held during Dec 6 - 8, 2019 at The Ritz-Carlton, Amelia Island, Fernandina Beach, Florida, United States of America. Additional details will be posted as soon as they are available. Clinical Overview of the Recovery Experience (CORE) Conference is organized C4 Recovery Foundation and will be held during Jul 12 - 15, 2020 at Amelia Island Plantation, Fernandina Beach, Florida, United States of America. The target audience for this medical event is Physicians, Nurses, Social Workers, Psychologists, Mental Health Counselors, Private Practioners, Alcohol/Drug Educators, Trauma, Recovery Advocates, Marriage & Family Therapists, Employee Assistance Professionals (Workplace issues), Professional Counselors, DOT/SAP Professionals, Chemical Dependency Counselors, Rehabilitation Counselors, Alcoholism and Drug Abuse Counselors, Family Physicians, Nurse Practioners, Physician’s Assistants, Pharmacists, & LGBTQ. Additional details will be posted as soon as they are available. Mid-America Orthopaedic Association (MAOA) Annual Meeting is organized by Mid-America Orthopaedic Association (MAOA) and would be held during Apr 21 - 25, 2021 at Amelia Island Plantation, Fernandina Beach, Florida, United States of America. The target audience for this medical event for Orthopedists. Additional details will be posted as soon as they are available. Southeastern Society of Oral and Maxillofacial Surgeons (SSOMS) 72nd Annual Meeting is organized by Southeastern Society of Oral and Maxillofacial Surgeons (SSOMS) and will be held during May 11 - 16, 2021 at The Ritz-Carlton, Amelia Island, Fernandina Beach, Florida, United States of America. The target audience for this medical event is Dentists. Additional details will be posted as soon as they are available.